Bishop Brian J. Macon Sr.
​Pastor Sylvia Heard Brodie, is a native of Buffalo, New York. She was born to the late Jerome Brodie and Mary Ann Heard Debose. Nurtured by her grandparents, the late Alex and Jeanette Heard. She’s the founder of Liberty Defined Outreach Ministry and currently resides in Cartersville, Georgia. In 1986 Pastor Brodie accepted Jesus Christ as her personal Lord and Savior. She has been ministering the word of God for more than 18 years. In her ministerial tenure, she has served in the ministry of helps, administration, praise & worship as an armor bearer and adjutant. 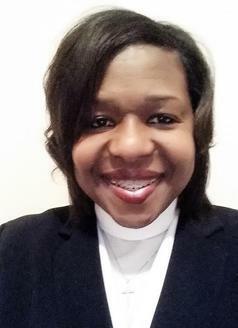 At the age of 37, Pastor Brodie received her license as a minister of the gospel and ordained as a pastor through the House of Liberty Church located in Cartersville, Georgia under the tutelage of Bishop Jesse T. Smith. She is presently the station manager of WHLB 104.5 FM-LP “Whole House Living Blessed”, a 24-hour Christian radio station, House of Liberty Church Executive Administrator and serves on the board of United Pastors Standing Strong Inc. (UPSS) as the Executive Administrator. She's a mentor for young ladies and a spiritual mother for many. She’s the mother of Candace S. Cooper Windom, Joshua R. Cooper, the late Breonna LaShay Cooper and Kaleena Green. She’s the grandmother of six beautiful grandchildren; Chyla Windom, Jaylon Cooper, Serenity Windom, the late Calek Windom, Colin Windom, Josiah Cooper, Nyomi Coney, Nyiah Coney and Nigel Whitaker.